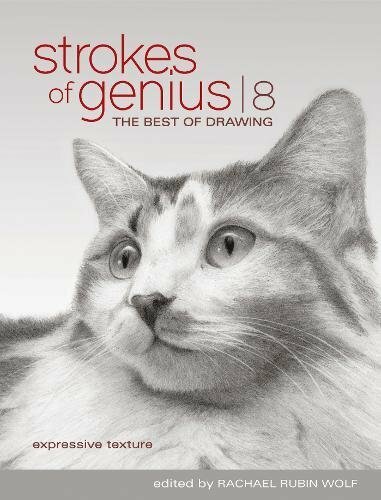 Strokes of Genius is a series that features art from top artists around the world. The collection of art featured are curated by Rachel Rubin Wolf, who's also the author for the Splash series of watercolour artbooks. Seems like the keyword for the 8th volume is Expressive Texture. I'm not sure if the keyword is necessary. I won't have guessed that that's the keyword after going through the book. Unlike the Splash series, the artworks featured here are created from a variety of media. There's watercolour, oil, graphite, charcoal, ink, pastel and many more. This book has very detailed and elaborate paintings as well as sketches. I like the variety. There's a lot of creativity and inspiration in the book, lots of styles to look at, and new artists to explore. I've always liked the Strokes of Genius series because of the variety. It's really cool to see artists make art with their favourite media.